It's quite easy to rip MP3 from YouTube with a good YouTube audio ripper. Download the best YouTube audio ripper for free now. A YouTube audio ripper is a program, site, or plug-in that allows users to rip audio from YouTube videos, particularly the audio from the music videos usually posted on YouTube. It's the turn-of-the-millennium equivalent of someone using a cassette tape to record music played on the radio. There are many YouTube audio ripper applications and websites that help convert YouTube to MP3 or other audio formats. However, Certain popular sites are already in Google's radar, such that the search engine giant is now prepared to get their lawyers on the case. Compared to audio ripping sites, a desktop YouTube audio ripper is also quite easy to get the address of a YouTube music video and rip its audio off for later use, and it's usually more stable and safer than online ripper. Here we will share the best desktop program to rip YouTube audio. 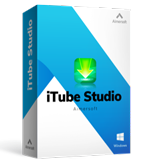 Here we highly recommend the YouTube audio ripper by iTube Studio. 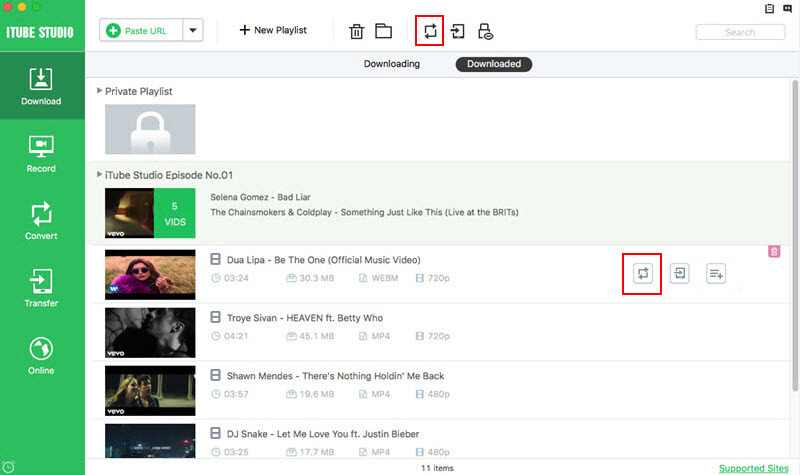 This program can rip audio from YouTube and 1000 more other video sharing sites. You will get the audio in high quality. And this YouTube music ripper works well on Mac OS X EL Capitan, Yosemite, Mavericks, Maountain Lion, Lion, Snow Leopard and Windows 10, Windows 8, Windows 7, Windows XP and Vista. One-click to Rip YouTube with Safari, Chrome and Firefox. Download videos from YouTube and over 10,000 sites. Directly rip YouTube to MP3 or iPod. 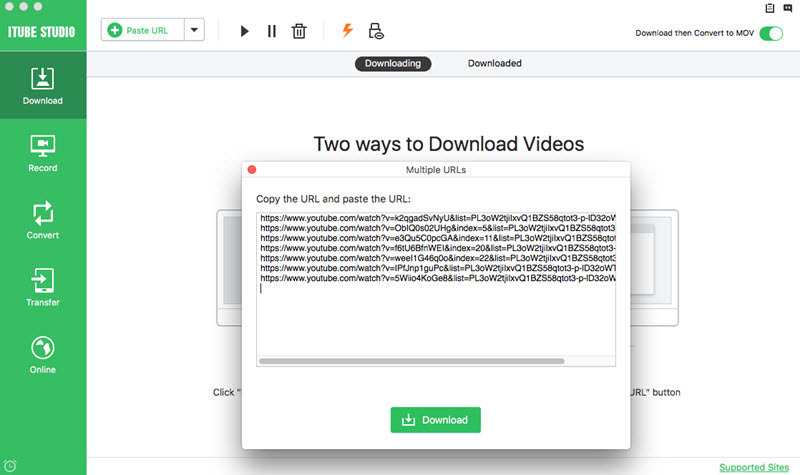 Download and convert YouTube video to any format. See how to download YouTube video and music with this music ripper step by step, and convert to device compatible format in no time. 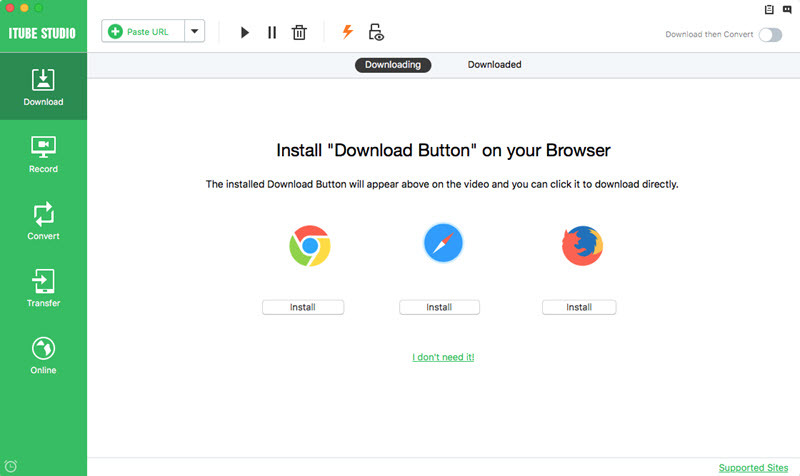 After download and install this YouTube music ripper, a "Download" button will appear on every YouTube video when you mouse over it. This way, you can directly rip YouTube audio from browser like Safari, Firefox, and Chrome. Next, go to YouTube.com to play the video you want to download. When the "Download" button shows up at the top left corner of the video. 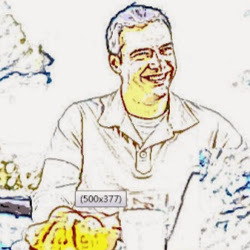 Click it to start download YouTube video to your computer, ready for being ripped to MP3 and other audio formats. You can also use the "Paste URL" to download YouTube via URL, or drag and drop the URL to the dock icon. This YouTube Audio Ripper lets you rip YouTube audio to MP3, MKV, M4A and other audio formats. To do so, go to "Downloaded" tab, and click the "Add to Convert List" on the right of the downloaded video. In this way, you will send the video to "Convert" menu for conversion. Navigate to "Convert" menu, click the "Convert" icon on the right of the video. In the window that appears, choose the format you want to convert to. If iPod is connected to Mac, click the "Add to Transfer List" icon beside the converted video file in "Convert" menu. 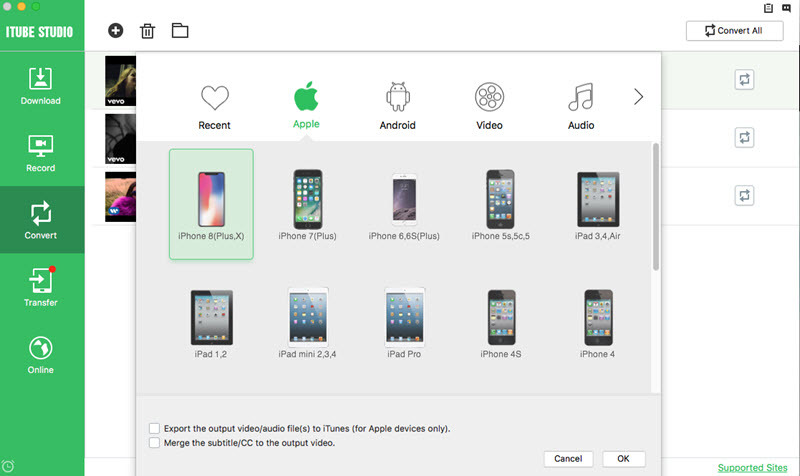 Click the icon and open "Transfer" menu, you just need to click "Transfer" icon on the right, so that you can sync audio to iPod immediately after the conversion complete.